Czaja-Bulsa G. 2014. Non-celiac gluten sensitivity – a new disease with gluten intolerance. link. Catassi et al. 2013. Non-celiac gluten sensitivity – the new fronteir of gluten related disorders. link. Fasano, A. 2009. Surprises from celiac disease. link. Mansueto et al. 2014. Non-celiac gluten sensitivty: literature review. link. Herfarth et al. 2014. Prevalent of a gluten-free diet and improvement of clinical symptoms in patients with inflammatory bowel diseases. link. de Loregeril M. and Salen, P. 2014. Gluten and wheat intolerance today: are modern wheat strains involved? link. Caio et al. 2014. Effects of a gluten free diet on immune response to gliadin and patients with non-celiac gluten sensitivity. link. Sapone et al. 2014. Spectrum of gluten-related disorders: consensus on new nomenclature and classification. link. Velasquez-Manoff. 2014. Can celiac disease affect the brain? link. Husain et al. 2004. Diet therapy for narcolepsy. link. Baranano K.W. and Hartman, A. L. The ketogenic diet: uses in epilepsy and other neurologic illnesses. link. Chang C., Ke D., and Chen J. 2009. Essential fatty acids and human brain. link. Chikahisa et al. 2014 Ketone body metabolism and sleep homeostasis in mice. link. Brown A.J. 2007. Low-carb diets, fasting and euphoria: Is there a link between ketosis and gamma-hydroxybutyrate (GHB)? link. Afaghi, A., O’Connor H., Chow, C.M.. 2008. Acute effects of very low carbohydrate diet on sleep indices. link. Dashti et al. 2004. Long-term effects of a ketogenic diet in obese patients. link. Shepherd et al. 2013. Short chain carbohydrates and functional gastrointestinal disorders. link. de Punder, K. and Pruimboom, L. 2013. The dietary intake of what and other cereal grains and their role in inflammation. link. Nouri et al. 2014. Intestinal barrier dysfunction develops at the onset of experimental autoimmune encephalomyelitis, and can be induced by adoptive transfer of auto-reactive T cells. link. Fasano, A. 2014. 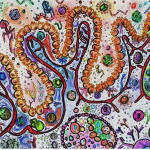 Leaky gut and autoimmune diseases. link. Fasano, A. 2011. Zonulin and its regulation of intestinal barrier function: the biological door to inflammation, autoimmunity, and cancer. link. Maes, M., Twisk, FN. Chronic fatigue syndrome: la bete noire of the Belgian health care system. 2009. link. Cai et al. 1999. 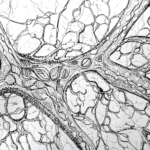 Hypothalamic orexin expression: modulation by blood glucose and feeding. link. Kastin, A. and Akerstrom V. 1998. Orexin A but Not Orexin B Rapidly Enters Brain from Blood by Simple Diffusion. link. Kornum B., Faraco, J., Mignot E. 2011. Narcolepsy with hypocretin/orexin deficiency, infections, and autoimmunity of the brain. link.